Specially Treated and Handmade Artisan Gold Brass Bell with Gold Brass Hand Slide. Will meet the most discriminating players needs for warm orchestral sound. 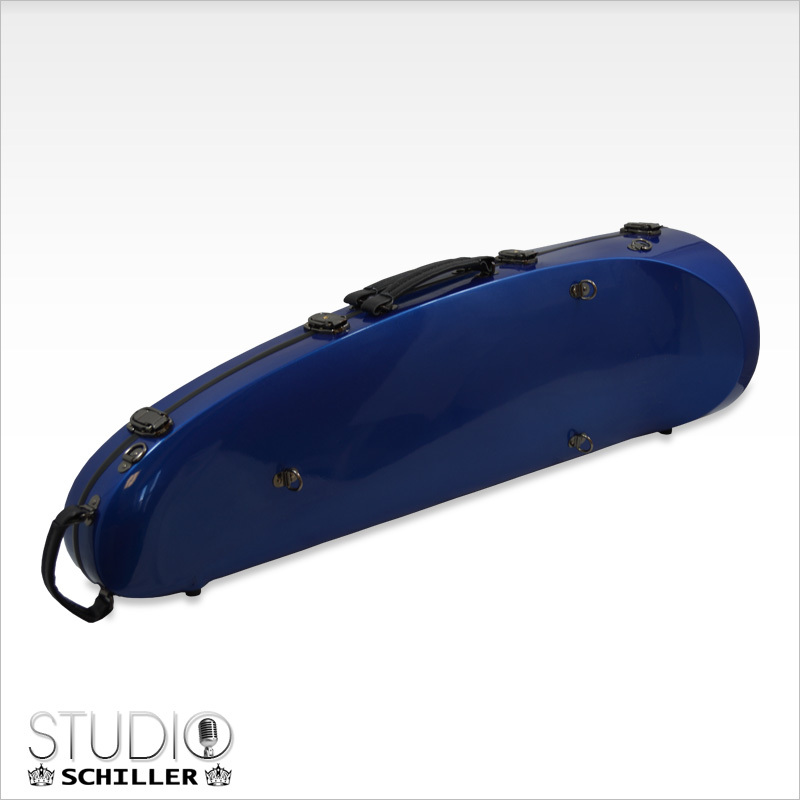 The Schiller Studio Hagmann Made Rotary Valve has super response and Free Blowing effect. New Stainless Steel Valve Key with German Minibal System Standard. Cupronickel Inner Hand Slide with Gold Brass Outer Slide for Improved Resonance. 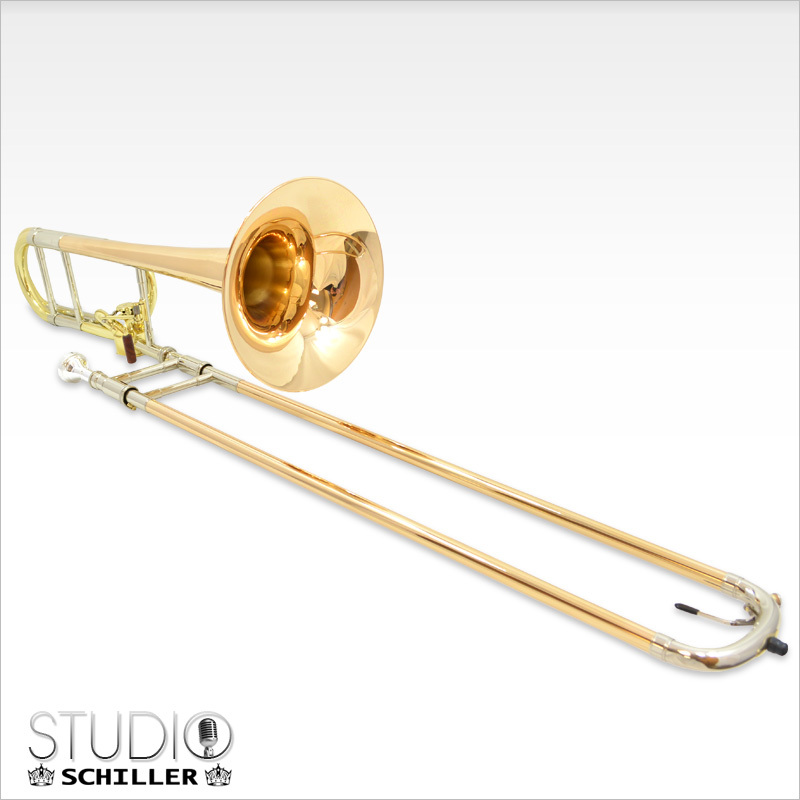 Includes Schiller Mega 6.5” Mouthpiece and Special Handmade Artisan Gold Brass Bell. 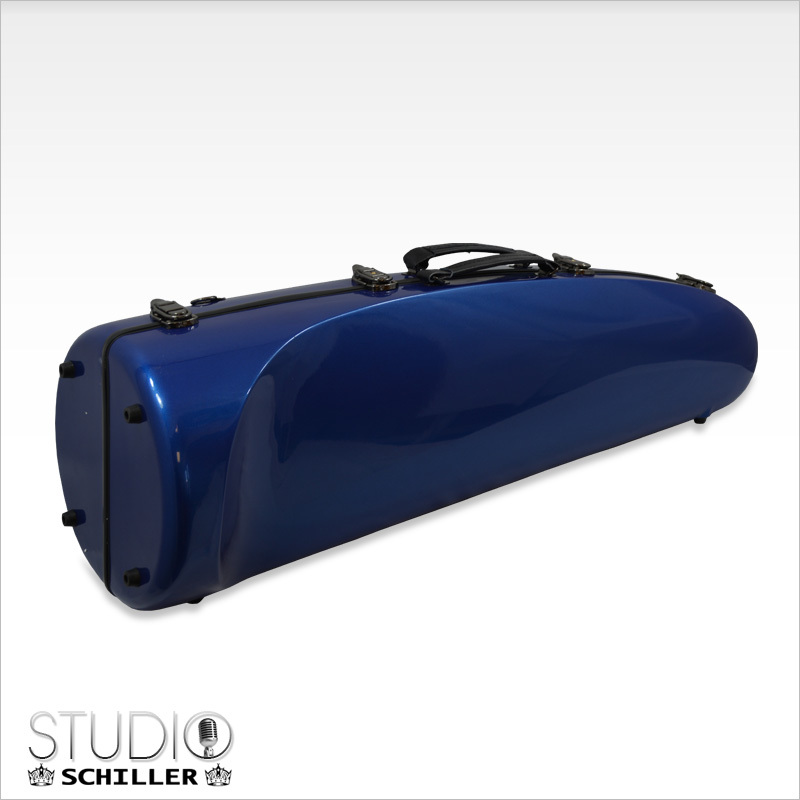 With their Hands on approach Schiller Instruments Achieve their goal of producing quality Instruments that are affordable to all musicians. 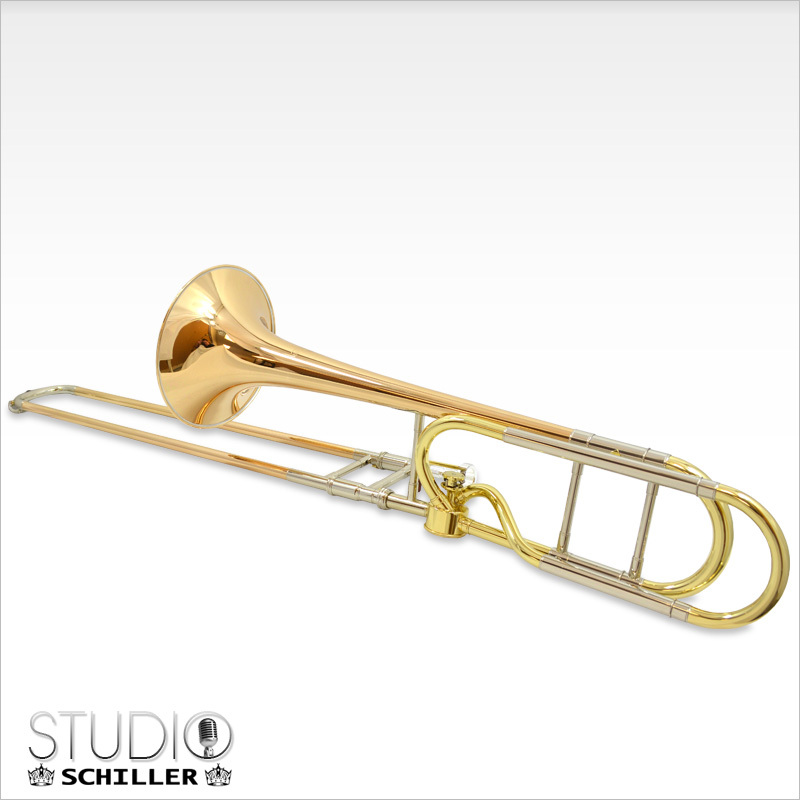 Schiller Studio Hagmann Trombone Represents the cutting edge demanded by today’s musicians.